But as dark silences chokes the voices of the light, the philosophers and the thinkers and the poets return to their narrow crevices and shroud their souls with meaningless pages of parchment. Please, dear friends, don’t let it be this way for us this Easter season. Let us use the power in our words to tell our readers something they need to know! Something that may bring them more joy or understanding or even a greater capacity and desire to love one another. Amen. The Power of Words–and Words to Prove It! I have been teaching my Public Speaking students about language, especially the great power of our words to create or destroy. Writers are always influencing by the words we choose to describe something or someone. I wonder if we are constantly conscious of what we are doing…. Do we always choose the word that is the clearest and most descriptive, and not a judgment? After all, readers are limited to the world we create, with its values and visions of what is–or could be–in it. Are we painting brave new worlds with our word pictures or are we prescribing a life that only gratifies or glorifies our self-centered natures? And are we conscious of the beauty and precision of the grammatical context of our words, or do our fingers go tripping and tumbling along a path, throwing commas and other punctuation wherever we please with no thought to scooping up the excess? How have you been changed by the words you’ve read? I feel almost criminal giving only 4 stars to a book acclaimed by the UK Spectator as “a remarkable novel…as touching and enthralling as any more traditional novel, its qualities enhanced by the candor and simplicity of Per Peterson’s style…” and chosen by the New York times as one of the 10 best books of the year. I admit I don’t have the critical insight of professional readers—and maybe I’ve been too influenced by Writers’ Group members who demand a strong story (typically referring to action-packed and fast-paced) told as succinctly as possible. Then again I bring my teacher’s eyes to the grammar and writing style, and expect most sentences to follow the Chicago Manual of Style format. Maybe what I miss most in this tale is drama and conclusions and grand finales. Petterson tells a story of major changes in the world and in personal experiences subtly. The main character’s father leaves the family forever when the son is fifteen for a partner in the resistance movement; yet when he encounters one of the woman’s sons fifty years later it is unknown whether the woman is still alive. Neither of the men shows any interest in finding out. “Pieces of You” is free to Kindle users for the next three days! 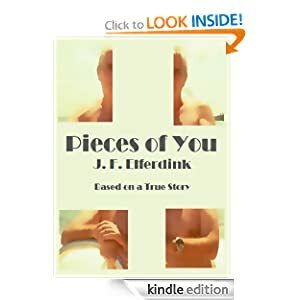 For readers who like an unusual love story that mixes the supernatural with issues of our time, a story that makes you think and feel, a story that may even answer some of your questions about life and an afterlife, I suggest my novel, Pieces of You. Oh, and did I mention that this weekend this is a book for readers who appreciate a bargain or, better still, a freebie? From October 5 through 7, Pieces of You is free to download as a Kindle eBook. For those who don’t have a Kindle or prefer paperbacks, I have authorized a Twitterhood Quiz Special. From October 8 through 16, editor Linnet Woods will run daily quizzes on her Twitter account and the winner on each day will receive a free paperback copy of Pieces of You! To download to your Kindle starting Friday, Oct. 5., please click on the image of the book’s cover. To participate in the Twitterhood Quiz Special starting Monday, October 8, follow @linnetwoods at http://www.twitter.com/linnetwoods and watch out for details. 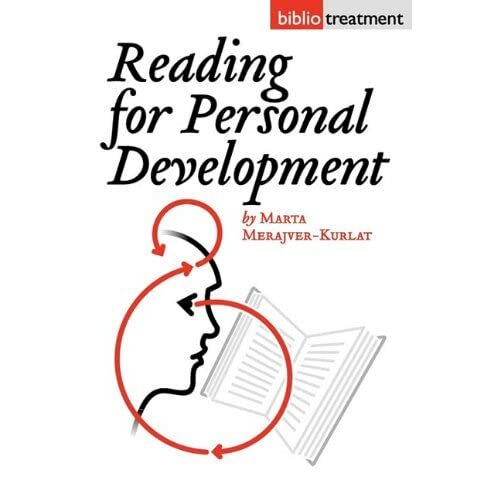 I’ve chosen two of the ten books she interpreted in “Reading for Personal Development” to reinterpret for myself and to let other readers glimpse what Merajver-Kurlat’s researched analyses offer us. In my other choice, “The President” by Miguel Angel Asturias, Merajver-Kurlat asks us to bleed over this book to truly comprehend the nature of evil. For those of us who’ve never experienced life under a Latin American dictatorial government, the “unspeakable abominations” written about seem unreal. Yet those who’ve lived through these circumstances must be abler to place themselves in the roles of those who pretend nothing is wrong, or with those who must make themselves invisible to survive. Admitting to the horror would likely be a death warrant. Could it be that those of us who dare to read The President and similar books are the ones able to survive when we have the courage to demand an end to the horrors? After finishing each chapter, I felt like I needed more of Merajver-Kurlat’s astute insights into each book’s meaning and application for my life–until I reviewed her purpose for writing: to teach me, the reader, to read between the lines. Once I accepted her challenge to reach my own conclusions, I knew I‘d found the keys to answering my questions—instead of the author’s. What books have been your handbooks for personal development? Even though this captures King’s emotional tie to writing, a tie that helped him recover from a near-fatal accident, this doesn’t seem very much like the man I met in this book. 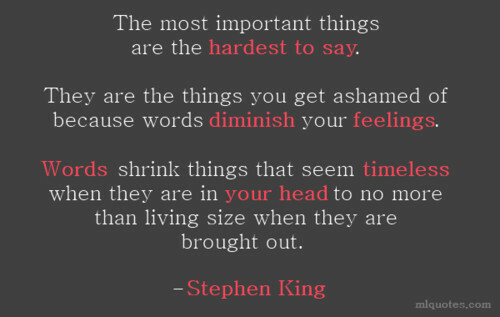 King doesn’t come across as a poet; instead, he seems to be a rather coarse guy; prone to swear; clearly a person capable of conjuring up repulsive characters. But I learned to like him. I may even read a second SK novel—my first was 11/23/63, one I only read to compare his treatment of bygone time travel to my own. On paragraphs: Let nature take its course–the turns and rhythms of the story dictating where each paragraph begins and ends. The object of fiction isn’t grammatical correctness but to make the reader feel welcome and then tell a story. I’m a SciFi reader! I love the creativity, the way a good writer is subtly teaching me something while I’m thoroughly engaged in the story (like C.S. Lewis’ Space Trilogy). I admit it’s a habit. Not really a bad habit but it keeps me from trying other genres. This week I was forced to read outside my favored genre or miss a meeting of my beloved book discussion group. I was shocked when I realized this month’s book is a nonfiction, and to make it even more outlandish, it’s about medical practitioners. 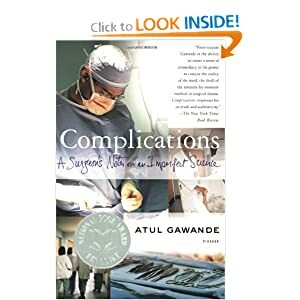 Complications: A Surgeon’s Notes on an Imperfect Science is definitely not a book I would have chosen to read, but Complications proved to be a wonderful learning experience. Atul Gawande t ells stories of his and other doctors’ experiences, stories that filled me with awe, fear, understanding and respect for those who’ve chosen this profession. I had to rethink my own critique of doctors. Instead of expecting perfection (when I have fought and lost that battle), I can now hold doctors to a lesser standard. Gawande proved that all doctors make terrible mistakes but that medical malpractice suits will never remedy this; there are too many unknowns in the diagnosis and treatment of human ills. One of the better solutions is for doctors to talk about what went wrong,yet consumers make this very difficult when lawsuits are a constant threat. When I finished the book, I felt compelled to write a review for Goodreads and Amazon, giving it five stars because it gave me something of value: a clearer perception of how doctors affect healing. And it was an interesting read, full of stories that could almost be in the SciFi genre. I may even consider broadening my reading list. Recently, a potential reviewer for my new novel, Pieces of You, said he was having trouble getting into it because it seemed to be a romance, and he never reads romance novels. Since I don’t read that genre, either, I was shocked to have my book labeled as such. (I think it’s a bit too complex a story to be included in that genre, at least based on those I’ve read in the past). I can’t blame this reviewer for his perception of what constitutes a “good read” since I’ve done the same. But I do hope he will break the genre habit…at least this once. If you’ve ever been surprised by something you’ve read outside of your normal reading habits, would you please share your story?